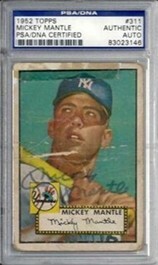 and is one of the three most sought after treasures among sports card collectors. If Argentinean Artist Diego Yapur were a baseball player, his rookie card would be THE NIGHT PROJECTIONIST which is due out this May and is available now in Diamond March Previews (Diamond Code: MAR121187). Covering two different time periods, a new breed of vampires, and more gallons of blood than you can soak up with jumbo roll of BOUNTY, the epic tale by publisher Studio 407 was a challenging “first at bat” (no pun intended on the “bat”). Diego was more than up to the challenge. In fact, his inked artwork was so impressive that Myriad Pictures (which was sharing space in the same building as Studio 407 at the time) optioned the piece for film based on the stunning galleys. We recently caught up with Diego who, despite having to answer our questions in English (his second language), was once again up to the challenge. Feast your eyes on this interview and some eye-popping artwork by Mr. Yapur. But do it at night, because once the sun rises … vampires will burn! 1) What was it like working on The Night Projectionist? What was your biggest challenge in drawing the book? (DY:) Yes, it was a great challenge. My first in the world of comics. It was the first time I drew a whole series by myself. “The Night Projectionist” is very important to me because it was the beginning of my career and I am very happy to be part of this series. I was really fascinated by this story and am now looking forward to the release of this book. 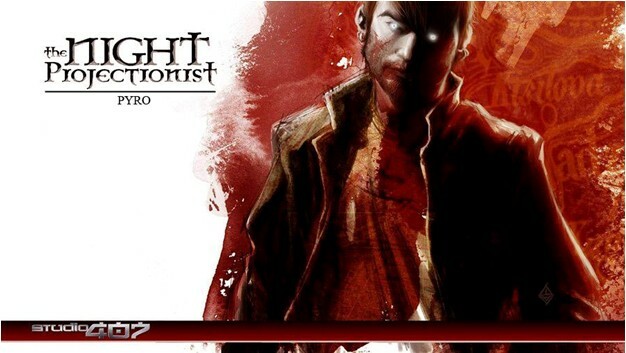 2) Did any character inspire your rendition of Dragos, the lead vampire and night projectionist in the story? (DY:) Yeah, there were a couple of ideas I had and some references I drew upon, but mostly the designs were done on my own. 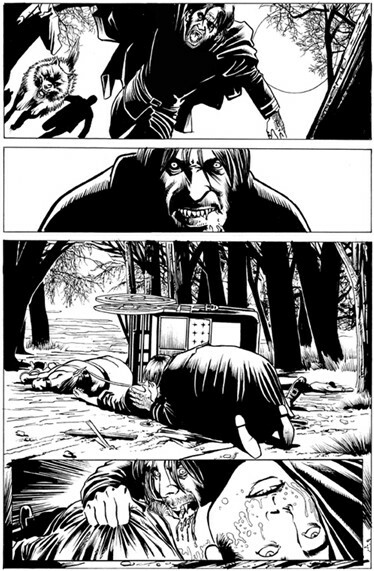 Along with Bob Heske´s script, I was able to give Dragos and the other vampires their own strong and unique identity. We tried to make sure they didn’t resemble any other vampire character. Dragos, Burak and Carmilla are very singular in the way they look, and they have a really powerful presence. All the characters caught in the theater took a lot of thought as well. Heske really tried to reinstate the bloody and violent personalities vampires are meant to have, ignoring the romantic idea that shows up in recent popular series (that rhyme with “Nite Light”). I tried to design these characters very well to match the excellent story of The Night Projectionist. I’m a fan of this kind of bloody horror story. 3) The Night Projectionist is actually two stories in one: a present day vampire siege and a 1700s back story about how Dragos became a vampire. Was it difficult capturing two different periods? (DY:) Yes, it was a bit difficult because I had never drawn something like this before. I had to resort to using references, but I was able to handle it. It was a great idea to develop the story in two different time periods side-by-side. This way you get to see the origin of the characters, understand how they have evolved, and why the battle will be bloodier than ever. 4) Where did you get your training? (DY:) I was drawing since I could reason. I learned how to read through the Argentinian comics my father brought home every week and I’d copy the super hero stickers inside. I also learned how to draw by watching the works of great masters such as Alberto Breccia, L. Olivera, Bernie Wrightson, Frazetta, Horacio Lalia , Deodato Jr, Granov, and others. My professional work began about 5 years ago working with some covers and pages for Argentinian publications. 5) What other books have you worked on? What are you working on now? (DY:) I’ve worked on illustrating educational books for Jamestown Education. I´ve also collaborated on some illustrations for the book “He-Man and the Masters of the Universe” that was published in Argentina. I have created several short stories, covers and more for independent comics in Argentina. 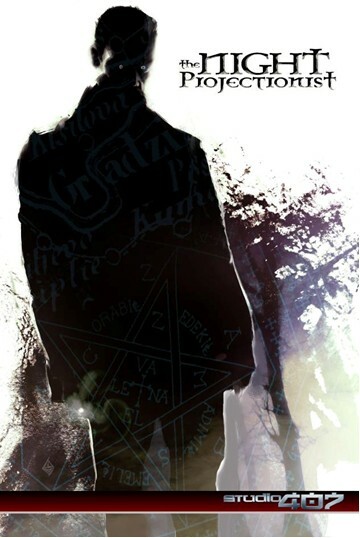 My most recent work was Priest: Purgatory, the Priest film prequel graphic novel from Sony pictures/Screem Gems. Currently, I’m in the middle of a job for an Argentine Editor and trying to start a personal project that I hope to finish next year. 6) Lastly, I noticed that Studio 407 has a vampire art contest up at The Night Projectionist Facebook page. Tell us how it works, what the prizes are how long the contest is running for. Submit your best vampire art — either an original vampire or your version inspired by The Night Projectionist — to contact@studio-407.com. Studio 407 will post it on their Facebook page here. The vamps at Studio 407 will review the 3 most popular images and declare a winner who will receive some tremendous prizes including Studio 407 comics and graphic novels, an interview on the Studio 407 blog, and original signed art from the series artist — Yours Cruelly! The contest runs through April 30th and the winner will be announced the date the book is released in May (TBD). We’ve already got some great art up on the site, but there’s always room for more. So send us your best and let the world know you’re a vampire pro! To follow THE NIGHT PROJECTIONIST on Facebook (and “LIKE” the page), click here. To follow THE NIGHT PROJECTIONIST on Twitter, tweet here. To follow the Studio 407 blog covering all their comic book happenings, go here. This graphic novel ships in May at a price point of only $12.99 and a Diamond code of MAR121187. Pre-order your copy at your local comic shop today! For “Oh-my-gosh-it’s-so-easy-to-Order” links to pre-order the book, click here. 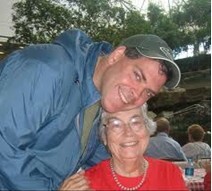 An award-winning indie comic creator and screenwriter, Bob Heske (shown with his mom in better days) is currently writing/producing a micro-budget horror film called UNREST (http://www.indiegogo.com/unrest). 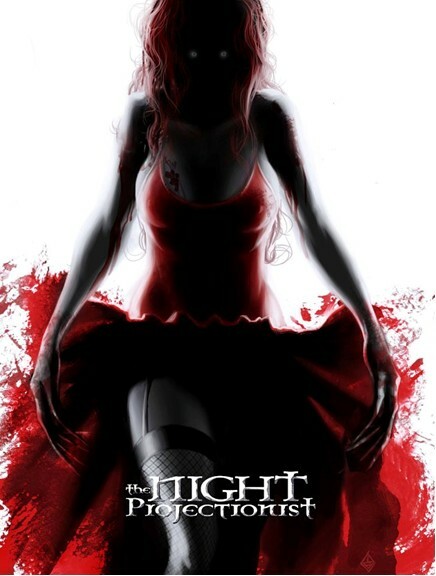 Bob wrote THE NIGHT PROJECTIONIST, a vampire horror series to be published by Studio 407 (http://www.studio-407.com) with film rights optioned by Myriad Pictures. Through his Heske Horror shingle, Bob self-published his critically acclaimed horror series COLD BLOODED CHILLERS. Bob’s trade paperback BONE CHILLER (a “best of” CBC anthology) won a Bronze medal in the horror category at the 2009 Independent Publisher Book Awards. His “end times” anthology 2012: FINAL PRAYER was also released in late 2009. Bob was editor and contributor to InvestComics’ ONE AND DONE charitable anthology.